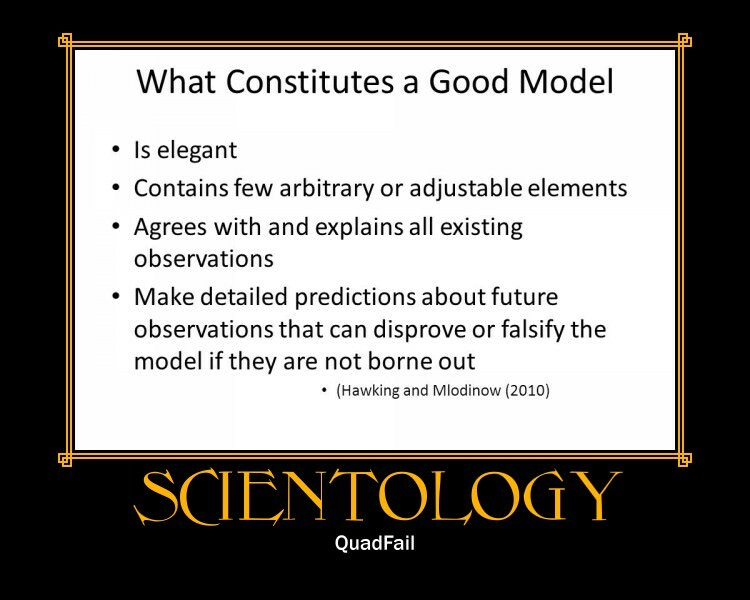 And Science uses the "Scientific Method"
I fail to see any relationship at all between Scientology and Science. Re: Science and Ron the Scientist. Ron is a nuclear Scientist isn't he? Related to that there is this from the chapter titled, What is Reality?, in Stephen Hawking's The Grand Design.